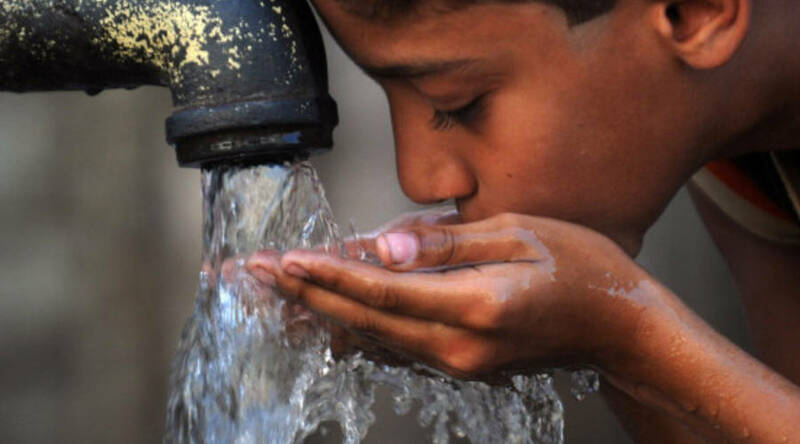 KARACHI: Only 5 per cent water is used for drinking and 5 per cent for other living things while 90 per cent is used for the agriculture sector. The domestically used water share in Karachi is reducing by water wastages in the agriculture sector. There is also a need to improve outdated water and sanitation system in Karachi, Hyderabad, Sukkur, Mirpur Khas, Nawabshah, Umerkot, and other cities of Sindh, where water supply, sanitation and hygiene conditions are below satisfactory level. In the most of the cities piped water supply system has become older and dysfunctional due to decay and lack of maintenance. This was the crux of a seminar on the theme of “Private Sector – A Key Player of WASH in Pakistan, organized by Health And Nutrition Development Society (HANDS) in collaboration with The United States Agency for International Development (USAID) at a local hotel in Karachi on Wednesday. The seminar was organised to engage the private sector in Water Sanitation Health and Hygiene (WASH). It was attended by the representatives of local government, USAID, UN agency, NGOs, INGOs, MSDP, Faran Sugar Mills, CSOs, media and academia. Speaking on the occasion, Tameezuddin Khero, Secretary Public Health Engineering Department said that water and sanitation sector is more important than education. “The participation of NGOs in this sector is very low, which needs to be enhanced. Sindh government is committed to providing water and sanitation facilities to the people of Sindh, but the private sector will have to play a major role in this sector. He said that the government has always been short of resources so private sector should be self-reliant and the government would help them in this regard. Media should avoid spreading fear among people, through irresponsible reports. Facts should be given in the reports while negative reporting must be ended. Sindh government led by Sindh Chief Minister Syed Murad Ali Shah has been doing a lot of work for the people of Sindh. “Only 5 per cent water is used for drinking and 5 per cent for animals and birds while 90 per cent is used for agriculture. MPA Pir Mujeeb said that there is need to enhance capacity building of town municipal administrations so that they could improve water and sanitation systems, while funds should be used properly. The local government departments also need to be fully functionalized for facilitating citizens, he said. MPA Rubina Qaimkhani said that bureaucracy and civil society need to play their separate due roles for the provision of safe drinking water and ensuring better sanitation system. “Strong linkages between government and private sector are required to resolve people’s issues. Passing bills is a good job but more good is implementing them in letter and spirit,” she said. HANDS Chief Executive Dr Shaikh Tanveer Ahmed stressed the need to resolve water and sanitation issues which are deepening in the cities. However, HANDS is playing a vital role to improve this sector in partnership with government and USAID.